When shopping for gifts this year, consider some non-traditional alternatives for your parents, children, or grandchildren, that will give them a boost toward building fulfilling lives for years to come. If your children have recently launched, they may not have the available cash flow to save for their own retirements. Opening a small retirement account for them and seeding it with a small initial contribution may start them on thinking about how they could save for themselves. Adult children worry about their parents. Parents worry about their adult children. If you have worked on financial planning, consider sharing some of the information you have gathered and the results of your analysis with your family. In doing so, you will get a better grasp on your situation yourself and help to alleviate some of the worry your family has for you. Different families have different levels of comfort with discussing financial details, so choose what is right for you. If philanthropy is important to you, why not share your philosophy with your loved ones? 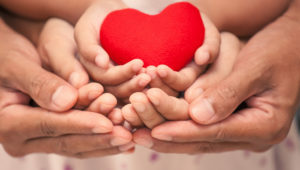 Give your family a list of charities to choose from or let them choose their own. Give gifts to these charities in their name. You could create your own charitable endowment using a tool such as a Donor Advised Fund that can help you and your family make charitable gifts well into the future while having income and estate tax benefits now. Parents are often concerned about how they will be able to pay for college for their children. College savings in 529 Accounts deliver tax benefits and peace of mind, knowing that a college education may be closer to within reach. If you are a grandparent, and your children already have 529s set up for their kids, you can offer to contribute to those accounts or start your own. Your home state may offer tax credits if you choose the plan in your state. Consider sharing your most precious resource: your time. Take the grandkids out for lunch and a movie with you, giving the sandwich generation some often-appreciated time alone. If you still have kids at home, create a memorable day by doing something out of the ordinary together. Spend a day or a weekend with your parents one-on-one. Whether it’s around town or around the world, time together will be a gift that is not soon forgotten. Gift giving can be a joy or a stress. By making choices with a financial planning lens, you can share the wisdom of planning and plant seeds for a lifetime of joy.